What does Kristofferson mean, details, origin, short & easy attributes? Kris, Kristof. Meanings and history of the name Kristofferson: | Edit. Kristof is the Hungarian, Czech, Slovak, and Slovenian form of Christopher (Greek: Bearer of Christ); presumably Kristofferson means "Son of Kristof"
Kristofferson is baby boy name mainly popular in Christian religion and its main origin is . Kristofferson name meanings is Christ, to bear. Other similar sounding names can be Christopher. Each letter meanings in Kristofferson Name. Popular personalities with Kristofferson Name. 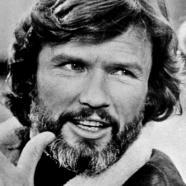 Kris Kristofferson is a singer, songwriter, musician, actor, and songwriter (film). He was most active from 1966 to present. Kris was given the name Kristoffer Kristofferson on June 22nd, 1936 in Brownsville, Texas, U.S.